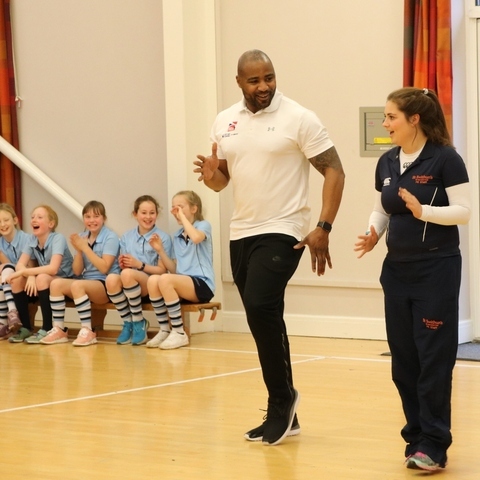 England rugby player Tamara Taylor spent an afternoon at the North Yorkshire prep school where she talked to the pupils about her rugby career, her forthcoming Guinness World record challenge and led a training session with the Year 6-8 girls. 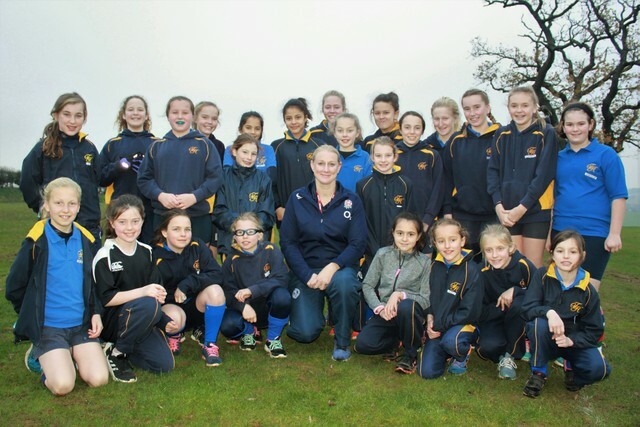 Standing tall in front of Terrington Hall’s pupils with her World Cup gold medal and purple and gold caps for her first and 100th appearances for England respectively, Tamara Taylor made an impressive role model. She was also a role model with a cause. The England international was there to challenge the notion that certain sports or vocations are reserved exclusively for either men and women, and to insist that gender has no place in determining what a person can and cannot do. After a successful England rugby career spanning 13 years during which the team won World Cup gold in 2014, the first time since 1994, Tamara (37) is looking for new challenges. 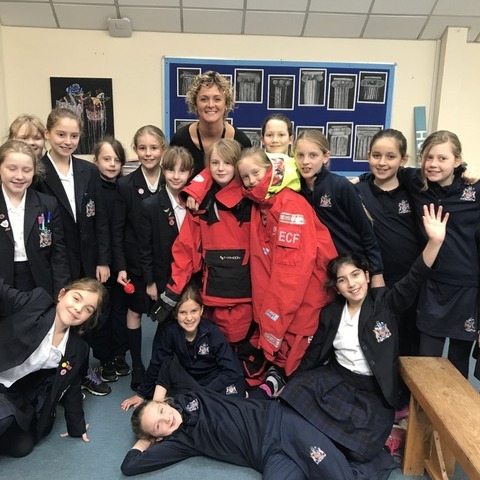 When she had the opportunity to raise money for the children's rugby charity Wooden Spoon by attempting a Guinness world record on Mount Everest, she leapt at it. 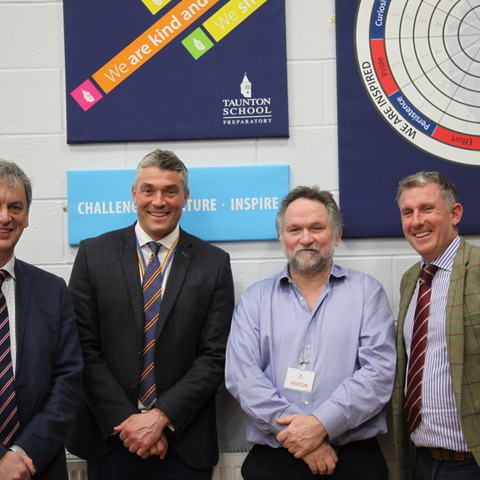 In April 2019, Tamara will join fellow rugby internationals Lee Mears, Ollie Phillips and Shane Williams to trek to 6,500m at Everest and attempt to break two Guinness World Records by playing the highest game of full contact rugby and the highest game of touch rugby in history. 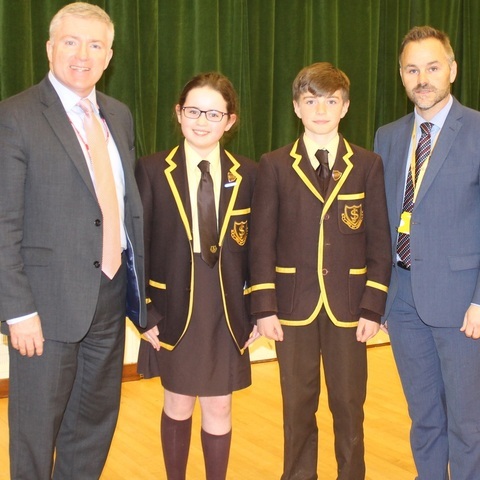 In the process they aim to raise a minimum of £200,000 for Wooden Spoon which funds projects to help young people with disabilities and facing disadvantage across the UK and Ireland. 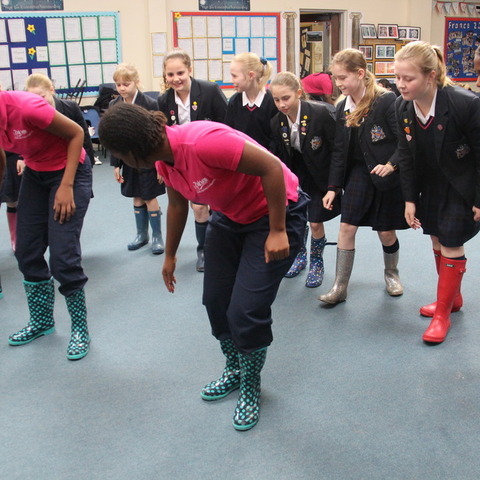 Having taken several questions from the children on her Everest challenge, it was down to the pitches to lead a rugby-training session with the Year 6-8 girls who thoroughly enjoyed being put through their paces and seeing for themselves that rugby’s not just for boys. Terrington Hall Preparatory, a boarding and day school for pupils aged 3-13, stands within North Yorkshire’s Howardian Hills, an area of outstanding natural beauty in sight of the cathedral city of York. Established in 1921 on the site of a Georgian rectory, the school continues to provide an education rooted in Christian traditions, promoting tolerance, integrity, manners and service whilst developing the potential of every child to the best that he or she can be.